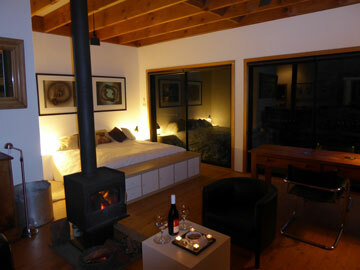 Description: The Bush Hut is a self contained retreat, perfect for 1 or 2 people. 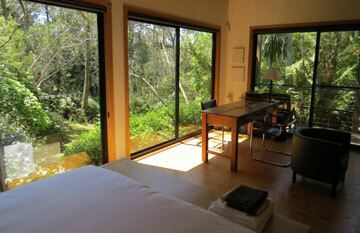 It is an extremely private hide-away, concealed from the main residence by a 25 meter long boardwalk surrounded by banksia's, eucalypts and large tree ferns. Floor to ceiling glass wraps the open plan interior, creating an intimacy with the surrounding bushland, with sliding doors leading to deck, garden and the Blue Mountains National Park. 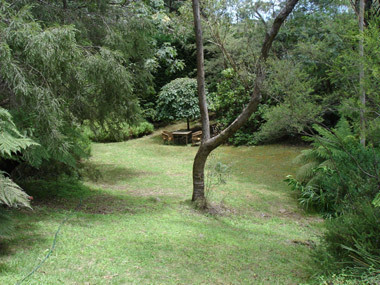 The Bush Hut is highly recommended to anyone who enjoys peace and privacy as well as to those who like bush walking, abseiling, canyoning, rock climbing, bird watching etc. These activities are all possible within minutes from the Bush Hut. 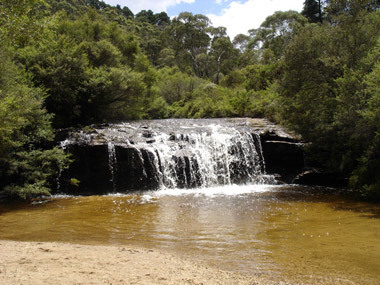 Location: The Bush Hut is nestled in a secluded and peaceful setting on the south side of Wentworth Falls, in the Blue Mountains National Park, a world heritage area, just an hour and 20 minutes west of Sydney. The Bush Hut enjoys direct access to the world class historic Charles Darwin Walk (1 & 2); it takes just a half hour stroll downstream along Jamieson Creek to discover the rock pools, cascading waterfalls and spectacular views of this celebrated mountain sanctuary. 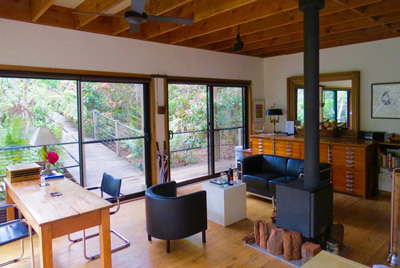 With all the exclusive privacy one could wish for, the Bush Hut is conveniently located within a 5-10 minute drive from café's, galleries, restaurants and shops in the nearby villages of Wentworth Falls, Leura and Katoomba. 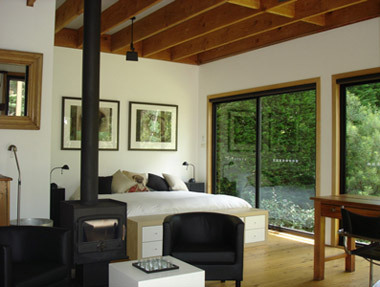 Monday to Sunday : $225 per night. The Bush Hut is highly recommended to anyone who enjoys peace and privacy as well as to those who like bush walking, abseiling, canyoning, rock climbing, tennis, golf, painting, bird watching or just sight seeing, shopping and dining out. These activities are all possible within minutes from the Bush Hut. 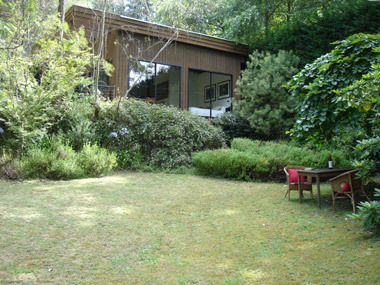 Private use of ¼ acre of the garden etc. The Bush Hut enjoys direct access to the world class historic Charles Darwin Walk; it takes just a half hour stroll downstream along Jamieson Creek to discover the rock pools, cascading waterfalls and spectacular views of this celebrated mountain sanctuary. 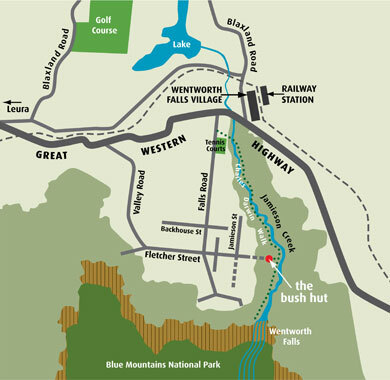 With all the exclusive privacy one could wish for, the Bush Hut is conveniently located within a 5-10 minute drive from café's, galleries, restaurants and shops in the nearby villages of Wentworth Falls, Leura and Katoomba.